Close to Madrid’s stupendous art museum the Prado and housed in the former HQ of the Spanish Armada, the city’s Naval Museum is just as important in content, a fine homage to Spain’s maritime past. Detailing the country’s obsession with seafaring exploration, the collections reveal as much about Spain’s ambitious overseas colonization as they do living conditions aboard tall ships in the 17th century. 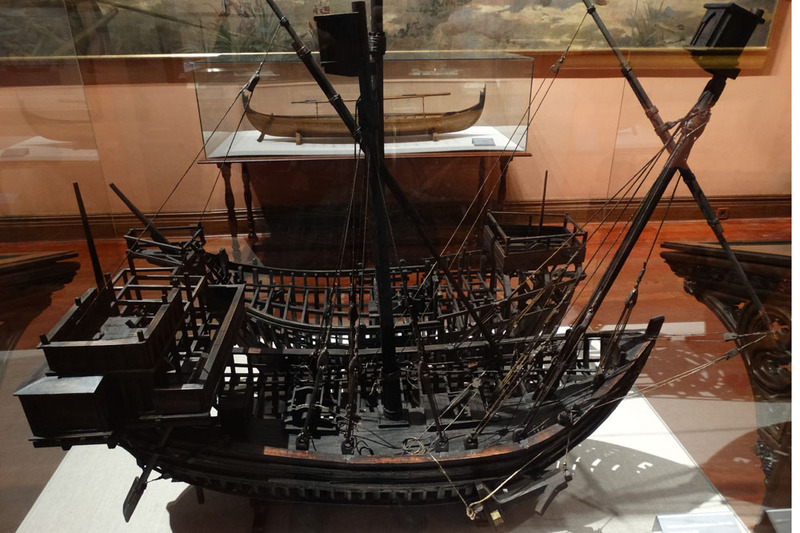 Treasures from naval charts and weapons to beautifully crafted model ships are displayed in 24 chronological exhibition rooms, among them a prototype submarine designed by Spanish scientist Isaac Peral in 1884. However, the most precious exhibit in the museum is the priceless Mappa Mundi, the first known depiction of the New World. It was drawn up in 1500 by explorer, mariner and cartographer Juan de la Cosa and traces the progress of three of Christopher Columbus’s exploratory voyages to the New World and even outlines the island of Cuba. One not to be missed attraction. A new arrival on Paseo del Prado, CaixaForum started life as a power station back in 1899; it has now been given a mighty facelift to transform the old building into a futuristic cultural hub hosting anything from films to poetry readings, art exhibitions, and concerts. Made five times larger without increasing its original footprint by pushing upwards and adding bronze-colored upper floors, the exhibition center now offers 36,000 sq ft (10,000 sq m) of space and was designed by award-winning Swiss architects Jacques Herzog and Pierre de Meuron. 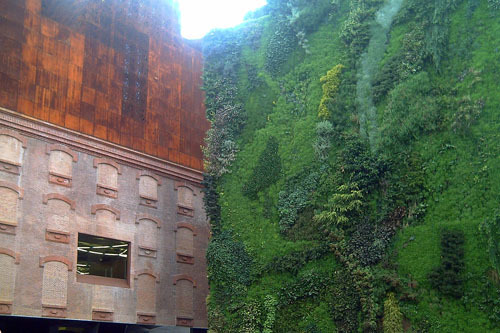 One exterior façade is completely covered with vegetation to create a ‘vertical garden’ and the majority of the events are free. Over the last few months the center has curated exhibitions of ancient artifacts, contemporary photography, and displays of shamans’ masks. It’s close to both the Prado and Reina Sofia galleries and well-worth checking out when visiting either of these better-known galleries. Schedules and event listings are available on the website. What began as the city’s first public market transformed into an elegant public space when Madrid became the capital in the 1560s. Enclosed by four stories of some of the most expensive real estate in town, rows of windows catch all the action inside the plaza. Back then there was plenty to see—bullfights, public torture during the Inquisition, and lots of festivities. 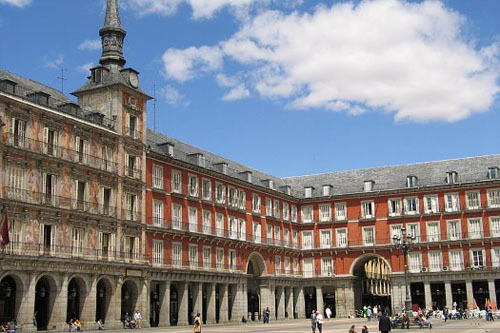 Still a popular party and concert venue, Plaza Mayor now welcomes tourists and local residents alike with some of the best people-watching around. Outdoor cafés and restaurants charge premium prices, but the views are worth it. Budget travelers can bring their own refreshments and do as the locals by picking any open spot and sitting down. Coin and bill collectors pop up on Sunday mornings. After the Austrian Hapsburg dynasty failed to leave any descendants, royal families all over Europe fought to determine who would rule Spain. France won and placed a Bourbon king on the Spanish throne. Unfortunately the royal palace wasn’t quite fit for a French king, having burnt in a Christmas Eve blaze in 1734. 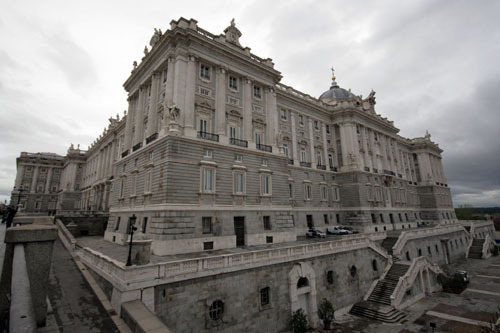 The new building was completed 30 years later, and the beautiful Versailles-inspired royal residence made Madrid shine. After the Spanish Civil War ended in 1939, Franco decided not to live there and after his death in 1975 the restored monarchy thought it would be best to open the palace to the public. It's still used for state visits and royal family weddings. Experience a bit of Baroque and Rococo splendor by strolling through Palacio Real. Although the palace has over 3,000 rooms, visitors are only allowed to see 25. It’s more than enough to get an idea of the opulence inside. The Throne Room used for official receptions takes everyone’s breath away, as do the King’s Bedroom and the Porcelain Room. Access to the Royal Pharmacy and the Royal Armory is also included in the combo ticket price. While the palace can be visited with an English-speaking tour guide for an extra 2€, each room has an information panel explaining just as much as the guide would. Save your 2€ for a drink at any of the posh cafés in Plaza del Oriente. Price: 4.2 Є (4.51 USD) One way ticket<br/>Return-5.90 euros<br/>Children under 3 is free. Madrid’s cable-car system has run since 1969 and can be caught from either Cerro Garabita or Paseo del Pintor Rosales terminals; it’s a great way to take on board the lie of the land and experience some spectacular views at the same time. 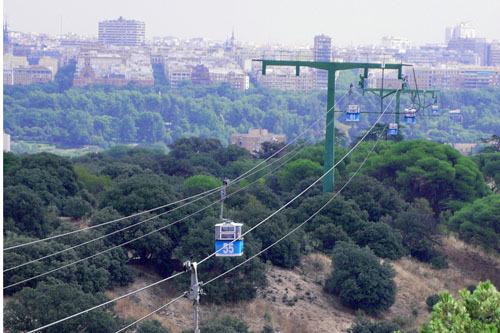 The cable-car route passes over the River Manzanares and Madrid’s green heart, the Casa de Campo Park, looking down on the Plaza de España and the Egyptian temple of Debod, while Almudena Cathedral and the Torrespaña communication tower can be seen on the skyline, with the mountains beyond. The 80 cabins reach a height of 130 ft (40 meters) above the ground, and a single 1.5-mile (2.5km) journey takes eleven minutes. A restaurant and bar up at Casa de Campo Station also have panoramic views over Madrid, and there’s also a distracting playroom for kids as well as a (rather jaded) amusement park and a small aquarium in the park itself. Such is the popularity of this novel ride that lines are always long so buy a Madrid Card to beat the queues.http://www.viator.com/tours/Madrid/Madrid-Card/d566-3688MADCUL. Check website for opening hours which can change without notice. Open daily dawn to dusk during the summer. Open at weekends in the winter. Price: 8 Є (8.59 USD) Temporary exhibitions are 4 Euros. Modern art buffs go wild at the Museo Reina Sofia ,which houses some of the most important art produced in Spain in the 20th Century. 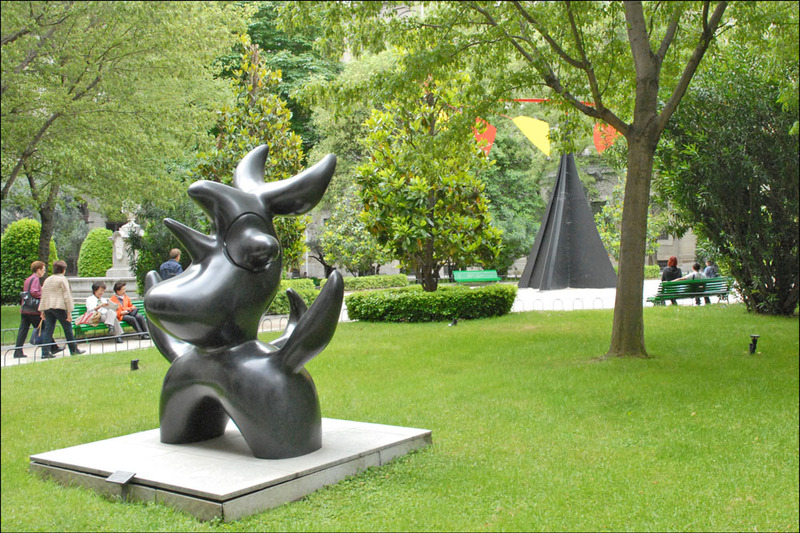 Filled with big names like Picasso, Dalí, Miró and Tàpies, rotating exhibits also bring in the best from the rest of the world. Formerly a public hospital, the central patio and easy-to-follow layout makes this museum one of the most bright and airy in Europe. Most everyone makes a beeline to Picasso's enormous masterpiece, Guernica. Depicting the terror of bombing an entire city during the Spanish Civil War (1936—1939), Picasso shocked the world with Cubist figures twisting and turning in the flames. Spain has undergone an amazing transformation since those times. The museum has free admission on Mon, Wed-Fri from 7-9pm and Sun from 1.30-7pm. 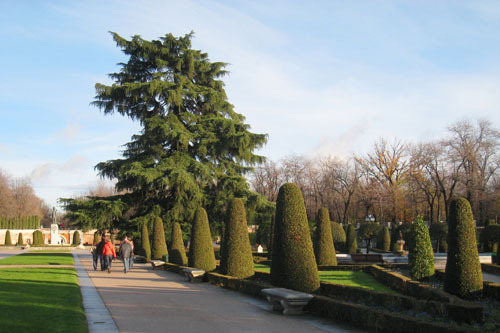 The 350 acre Parque del Buen Retiro, one of the most charming parks in Europe, is located just south of the Salamanca district, an upscale residential and shopping area. The park has formal gardens, jogging, walking and rollerblading paths; and lots of shady trees for those who just prefer to read a book, have a picnic, dream or people watch. And you can even rent a horse-drawn carriage. The Spanish, who love to “pasear,” walk around with their families, greeting friends, stopping for a coffee at one of the many cafes. On week-end afternoons the area around the lake gets quite animated with street performers—jugglers, mimics, painters, and even a Puppet Theater. From late spring through early fall, the Banda Sinfónica de Madrid gives concerts on Sunday. From its origins in the 16th century, the use of the gardens changed from royal playground and religious retreat, to a royal palace, to a public park in the 18th century where one could enter only if properly dressed. Some early buildings still remain: the Cason Del Buen Retiro is now an art museum. The Palaci del Cristal, the Glass Palace is stunning; built of glass and steel and is also a museum. There are many sculptures throughout the park. A sculpture of the “Angel Caido—the Fallen Angel”—is said to be the only monument to the devil in the world. 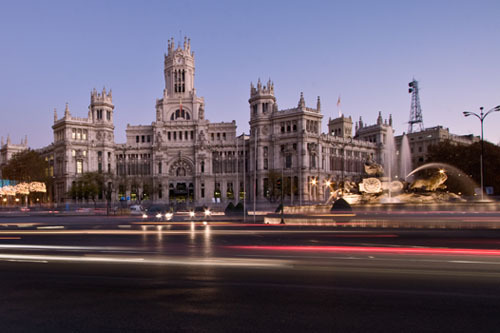 Located within the city of Madrid to the east of the city center, next to the Prado Museum. Enter at the Puerta de Alcala. Protect your money and valuables from pickpockets.